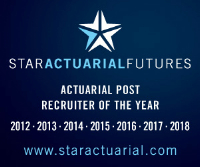 Our client has an exciting opportunity for a part-qualified life actuary to support several life and pensions actuarial workstreams including policy servicing, remediation calculations and project delivery. With excellent analytical and problem-solving skills, the successful candidate will possess experienced knowledge of VBA alongside well-honed communication and interpersonal skills. A good understanding of life and pension products including conventional and unitised with-profit products also essential.